A few hundred demonstrators rallied in front of the state Capitol today. They called for more support for public education. 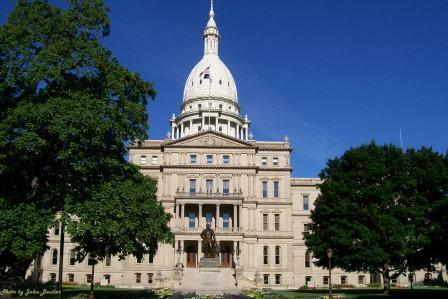 They say Republican policies in Lansing to encourage more charter schools and online learning would come at the expense of students in traditional public school classrooms. Stephanie Keiles is a middle school teacher in the Plymouth-Canton district who helped organize the rally. She says teachers are growing frustrated. Democratic candidate for governor Mark Schauer was among the speakers who addressed the crowd. Governor Rick Snyder’s office released a statement that per-student financial support has grown over the past three years since he took office.